I helped develop a safety products promotional flyer for the United Rentals Safety Summit sponsored by Lawson Products. For the trade show display, there was a football theme and they had Foosball and other field games the participants could play for promo giveaways. 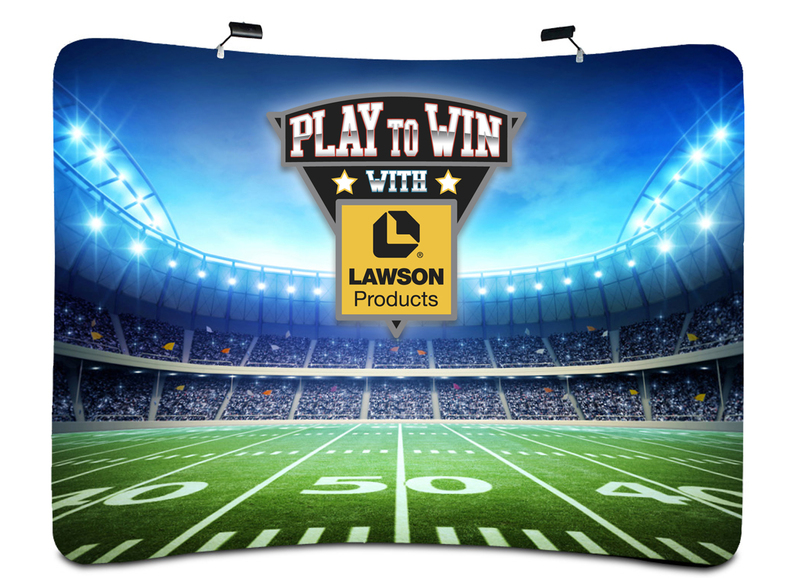 To stage the booth I designed a three dimensional trade show booth backdrop that tied together the football theme.